Last weekend I received the amazing news that me and my super talented friend Mark Slater made the cover of issue 2 of Zombies vs. Cheerleaders. I was extremely excited to hear this, not only because it was an honor to colaborate with Mark on this piece - I had the pleasure of coloring his awesome linework - and I'm really proud that we made the cover. So now you know: on November, look up Zombies vs. 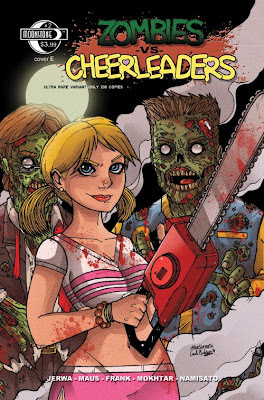 Cheerleaders issue 2! Click to fullview!